This December, the infinite expanse of space and time will give way, and three eras of heroes will collide! Today, Marvel is pleased to present a look inside GUARDIANS OF INFINITY #1 – the electrifying first issue! First up, fan-favorite creators Dan Abnett and Carlo Barberi take you on an explosive thrill ride that will answer the question – who are the Guardians 1000?! Rocket Raccoon, Groot and Drax now find themselves face to face with Guardians of the Galaxy past and future. Time to find out if the galaxy is big enough for three teams of Guardians! 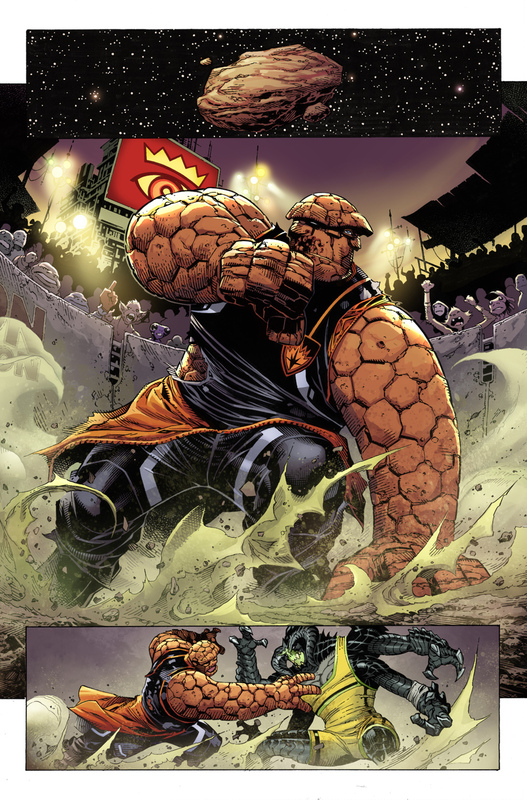 Plus, don’t miss an epic back-up story from Jason Latour (Spider-Gwen) and Jim Cheung (New Avengers) as Ben Grimm and Rocket Raccoon find themselves stranded on a planet where culture is based on Earth-style professional wrestling! 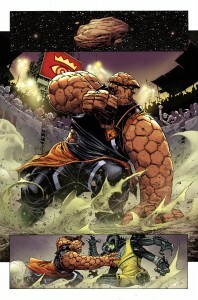 Time for the bruiser from Yancy Street and the Guardian’s own ferocious furball to show the galaxy what they’ve got. Be there this December for the explosive debut of GUARDIANS OF INFINITY #1!